History has been made in Saudi Arabia today as a humanoid robot has been granted citizenship for the first time. 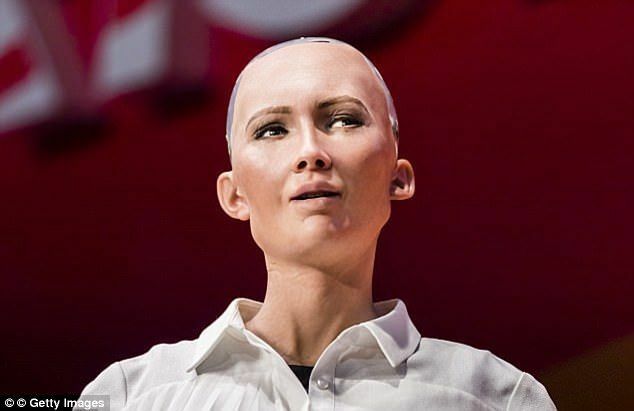 Sophia also mocked Elon Musk, CEO of SpaceX and Tesla, claiming that her interviewer had been 'reading too much Elon Musk', in response to his concerns about robots. 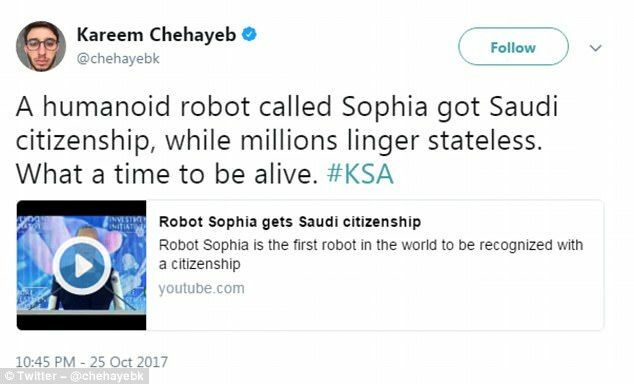 Not everyone is happy with the Sophia's citizenship, with some describing her as 'bizarre' and others referring to it as 'Terminator in real time. 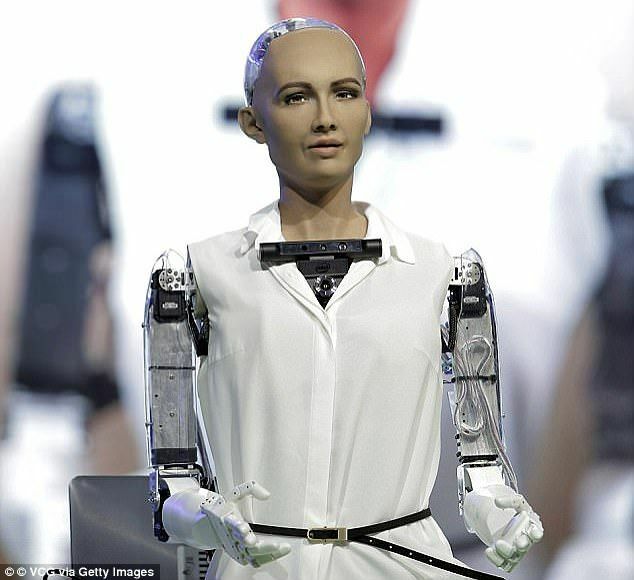 Sophia is a humanoid robot designed by Hong Kong firm, Hanson Robotics, who has previously hit the headlines for addressing the UN. Speaking at the conference, Sophia said: 'I am very honoured and proud for this unique distinction. 'This is historical to be the first robot in the world to be recognized with a citizenship. 'Sophia went on to explain her hopes for robots in the future. The robot also bizarrely took a dig at Elon Musk, CEO of SpaceX and Tesla. When Mr Sorkin said that 'we all want to prevent a bad future', Sophia replied: 'You've been reading too much Elon Musk and watching too many Hollywood movies. 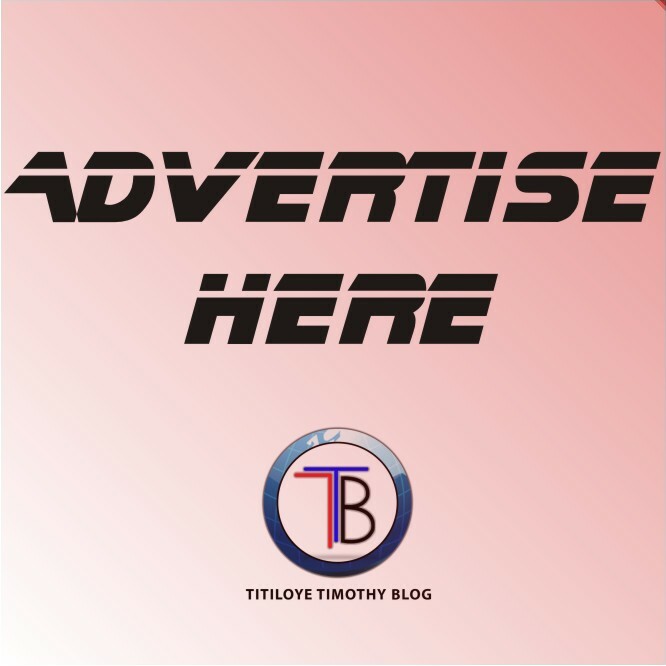 While Sophia is happy with her citizenship, other have expressed concerns on Twitter about it. This isn't the first time that Sophia has worried people.